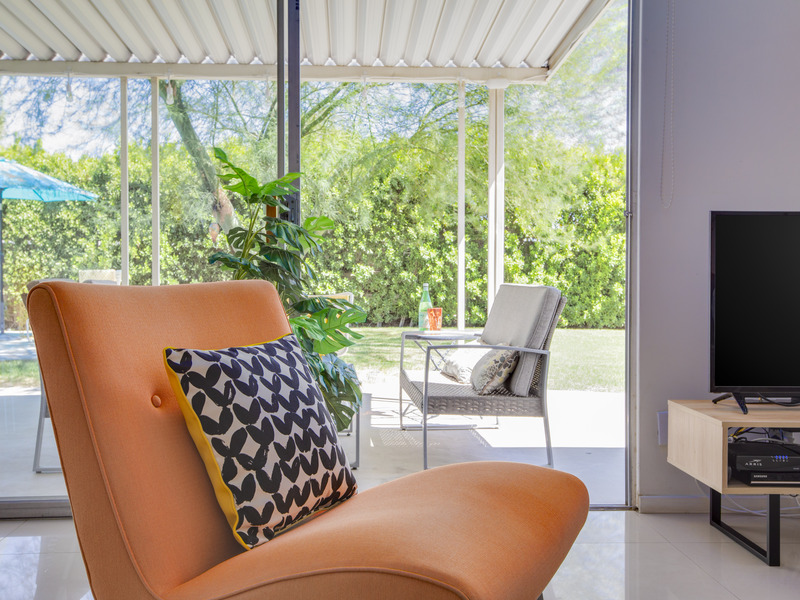 Property Highlights: Restored Midcentury Home with ties to Old Hollywood. Built by Alexander Construction Company for Sy Devore, Tailor to the Stars. 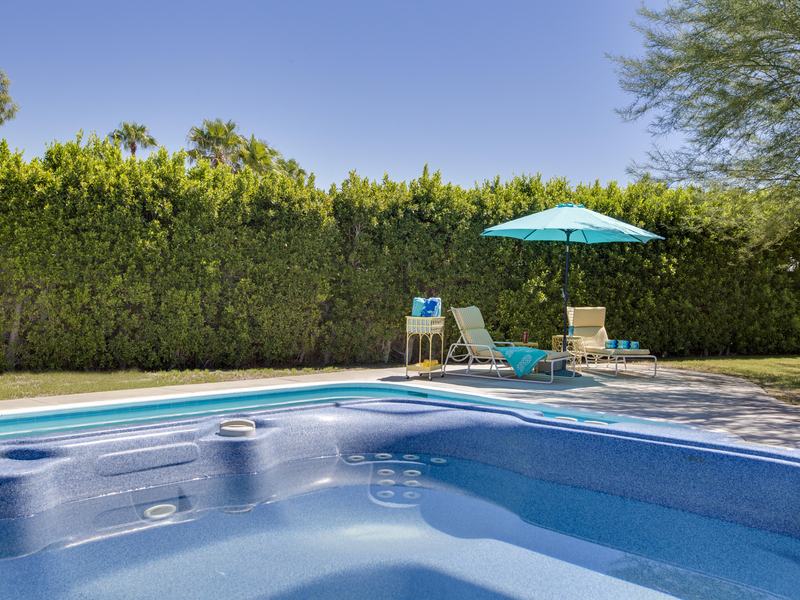 True Palm Springs Eperience. Private pool yard. Spa. 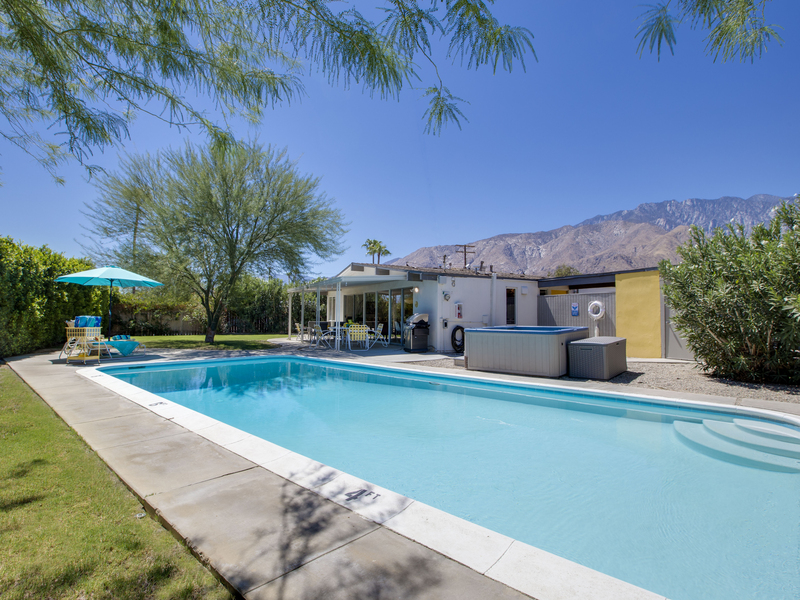 The perfect vacation rental property for Modernism Purists and fans of Palm Springs!!! 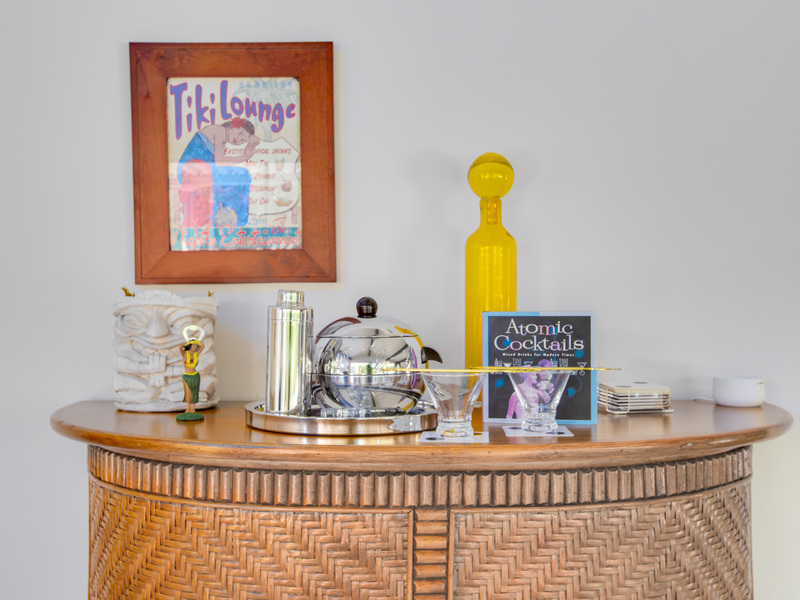 Welcome to The Krisel-Devore House - where classic midcentury architecture and ties to Old Hollywood - create the quintessential Palm Springs experience. 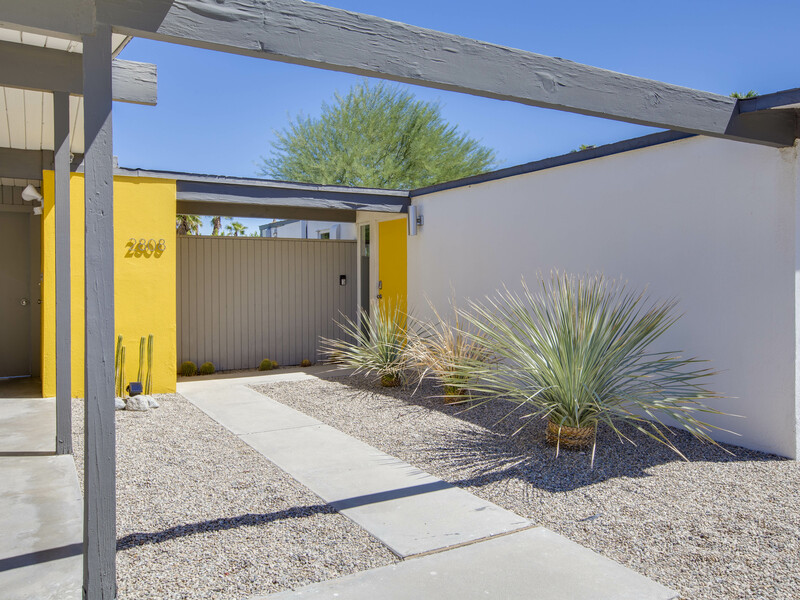 This iconic home by the Alexander Construction Company has been lovingly restored - respecting its architectural pedigree (William Krisel, circa 1959) while updating it for the way we live today. 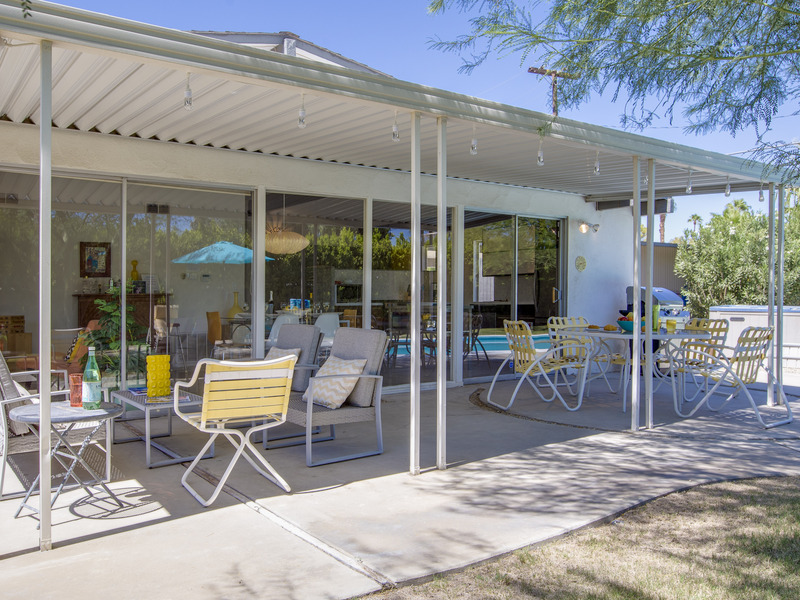 Step back in time to get the authentic 1950s Palm Springs experience. Beautifully preserved architectural gem. 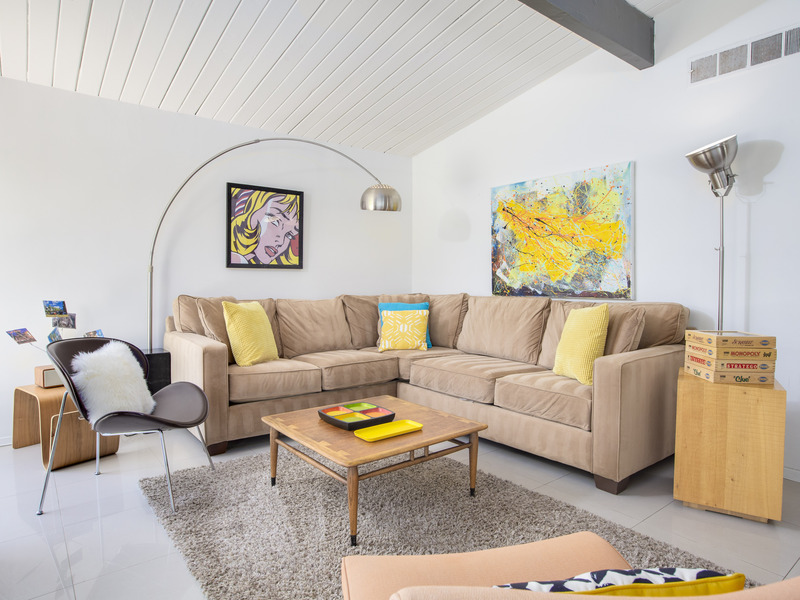 Perfect Vacation Rental Home in Palm Springs for true Modernists. Private pool yard. Shaded and full sun. Close to town. 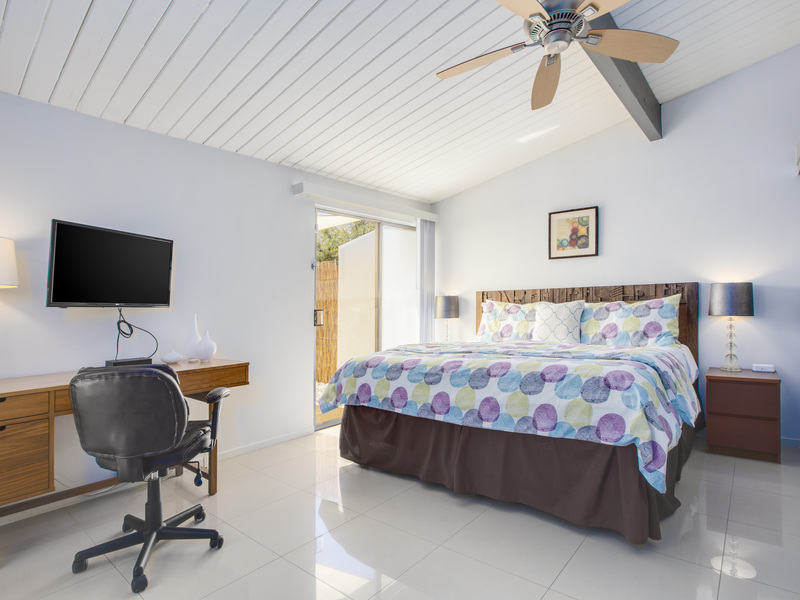 The original open concept floor plan, walls of glass and post and beam ceilings have been preserved while adding modern conveniences like all new kitchen and baths, high speed internet access, updated heating and cooling, and three flat screen televisions. 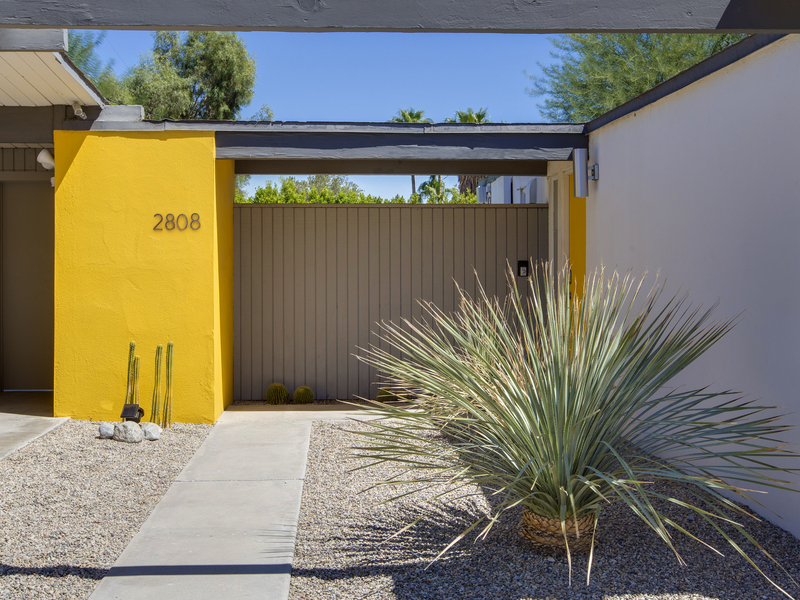 Gorgeous in its simplicity, as Mr. Alexander and his architects Palmer and Krisel intended. 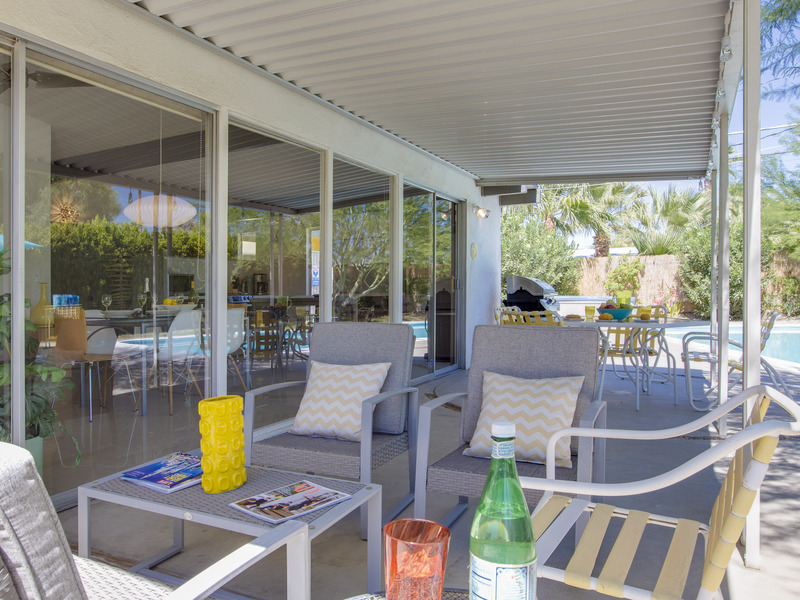 You'll find clean lines, an open concept floor plan and walls of glass that let the light pour in and reveal a retro-chic pool yard. The living room, dining area and kitchen are all open to each other - providing enough space for your entire group to gather, relax and enjoy. The entire back of the house features floor to ceiling glass - seamlessly connecting to the pool, patio and outdoor living spaces. 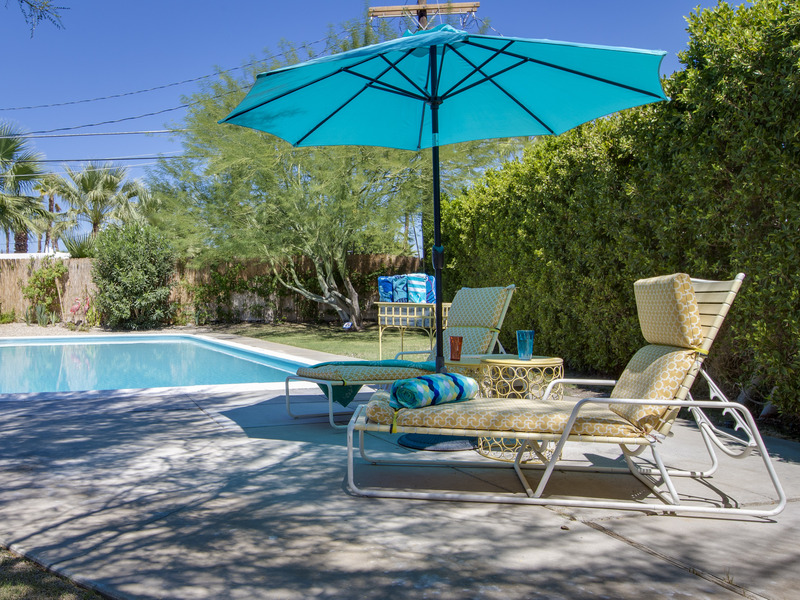 This home is steeped in Palm Springs History. It was originally built for Sy Devore, Tailor to the Stars, who was almost as famous as the men he dressed. He made his biggest fashion impact dressing the martini-gulping, wisecracking, Hollywood-Palm Springs-Las Vegas-hopping Rat Pack. They came to Devore's on Vine Street near Sunset Boulevard, just around the corner from the Brown Derby restaurant, to shop as well as hang out. They also did a lot of "relaxing" together in and around Palm Springs. Devore's other commissions included included Elvis Presley's Vegas outfits, Liberace's performance costumes and the band uniforms for Tommy Dorsey. His list of clients was a who's who of Hollywood for more than 40 years. Private chef, pre-arrival grocery stocking, daily maid service, and poolside massage can be arranged with three weeks advance notice. Advanced Booking strongly suggested.